The thirteenth century brought new urgency to Catholic efforts to convert non-Christians, and no Catholic ruler was more dedicated to this undertaking than King Louis IX of France. His military expeditions against Islam are well documented, but there was also a peaceful side to his encounter with the Muslim world, one that has received little attention until now. 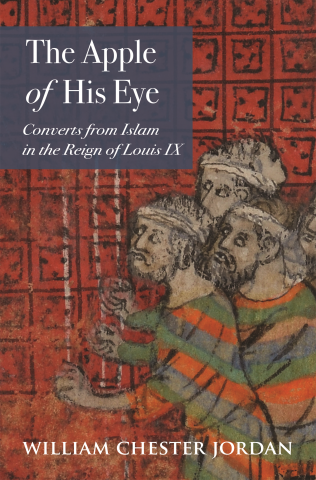 This splendid book shines new light on the king’s program to induce Muslims—the “apple of his eye”—to voluntarily convert to Christianity and resettle in France. It recovers a forgotten but important episode in the history of the Crusades while providing a rare window into the fraught experiences of the converts themselves. William Chester Jordan transforms our understanding of medieval Christian-Muslim relations by telling the stories of the Muslims who came to France to live as Christians. Under what circumstances did they willingly convert? How successfully did they assimilate into French society? What forms of resistance did they employ? In examining questions like these, Jordan weaves a richly detailed portrait of a dazzling yet violent age whose lessons still resonate today. Until now, scholars have dismissed historical accounts of the king’s peaceful conversion of Muslims as hagiographical and therefore untrustworthy. Jordan takes these narratives seriously—and uncovers archival evidence to back them up. He brings his findings marvelously to life in this succinct and compelling book, setting them in the context of the Seventh Crusade and the universalizing Catholic impulse to convert the world. William Chester Jordan is the Dayton-Stockton Professor of History at Princeton University. His many books include Louis IX and the Challenge of the Crusade: A Study in Rulership, The French Monarchy and the Jews: From Philip Augustus to the Last Capetians, Men at the Center: Redemptive Governance under Louis IX, and From England to France: Felony and Exile in the High Middle Ages.